8.6 mile, 4:32 hours, 841 highest. Day 4 of the walk. 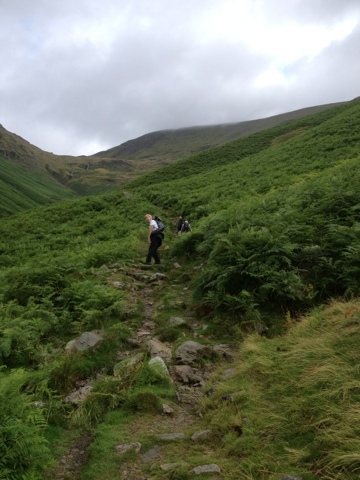 Grasmere to Patterdale, via St Sunday Crag. 8.6 miles. Wet climb up to Grisedale Tarn @ 540m then luckily the weather cleared and we were able to do the climb up to St Sunday Crag @ 840m. Brilliant views if a bit windy! Tough descent but now in a lovely B&B in a room by a river where otters nest. The first ascent up Little Tongue Gill. 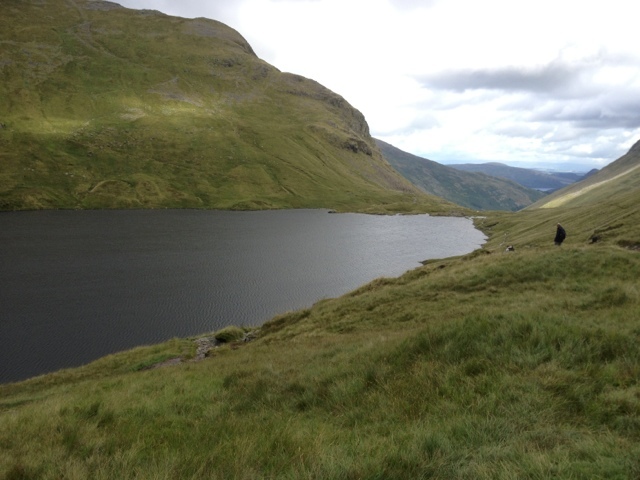 Grisdale Tarn where we had to decide on valley or ridge based on the weather. 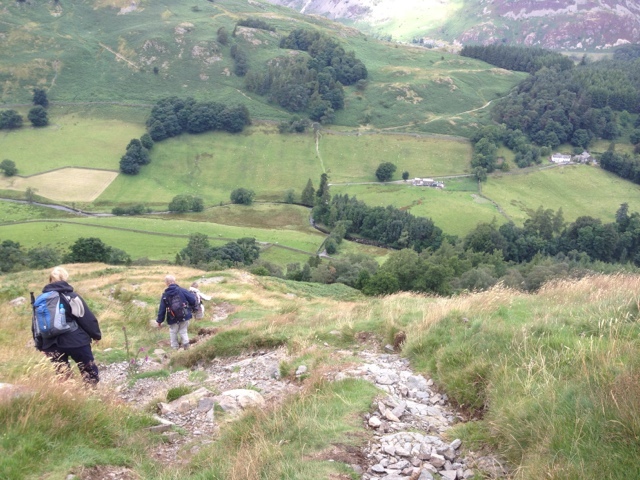 We chose the upper route via St Sunday Crag. 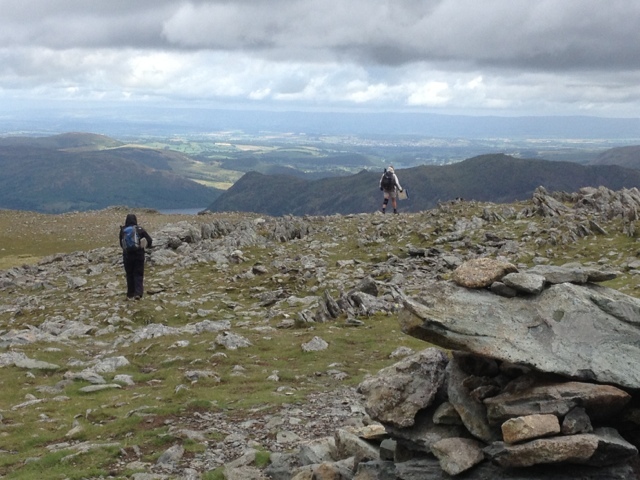 The cairn at the highest point followed by lunch in the lee of the ridge. 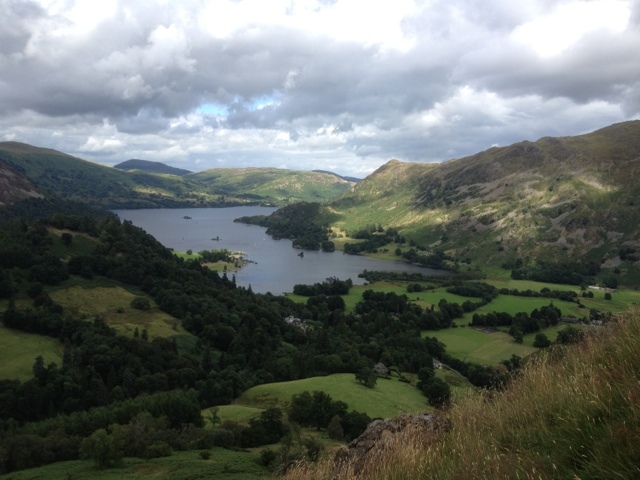 The view of Ullswater from part way down. Staying at Old Water View in a lovely slate built annex with Goldrill Beck running past the bottom of the garden.